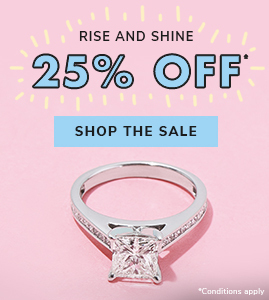 Why settle for a single halo when double halo engagement rings offer twice the sparkle? When it comes to matters of sparkle, more is definitely more. More light play, more fireworks, more… POW! Double halos allow you to supersize your sparkle by creating the illusion of a larger stone. They use a pretty nifty trick of the light that could end up saving you $$$! If you’re unfamiliar, traditional halo engagement rings surround the center stone with an outer ring of smaller diamonds or gemstones. Light from these peripheral stones reflects off the center stone, creating a wonderful larger-than-life aura. Double halo engagement rings, as the name suggests, are framed by not one but two outer rings of sparkle. This gives them twice the visual impact, much like the jaw-dropping beauty of a double rainbow. Most celebs are used to seeing sparkle wherever they go. They see it in the camera lenses of overzealous paparazzi and they see it in the jewels they wear. 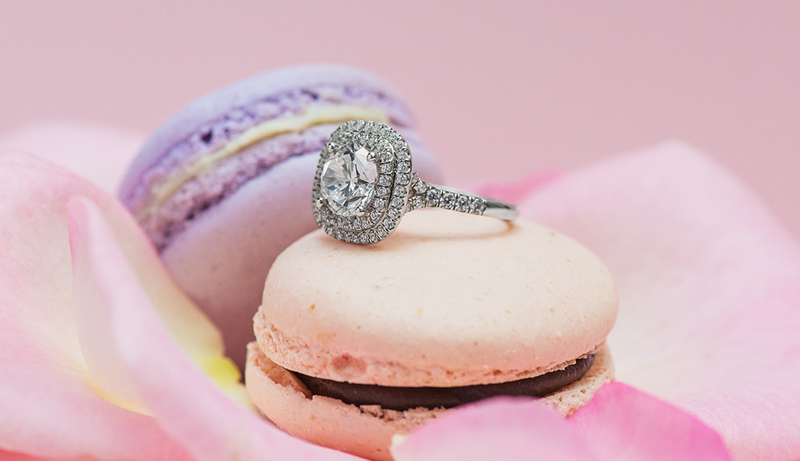 Double halo engagement rings sparkle twice as hard as classic solitaires; enough to satisfy even the most fabulous of appetites. Community star Alison Brie must’ve been seeing double when her then-boyfriend, Dave Franco, presented her with a dazzling double halo. The vintage-inspired sparkler, with its round center diamond, is one ring we hope the GLOW actress won’t be wrestling in! Oscar winner Natalie Portman’s sparkler is as dramatic as her acclaimed turn in Black Swan. The antique round (old mine) cut diamond ring and surrounding pavé-set double halo are ethically sourced and the platinum band is recycled metal, in line with Ms. Portman’s eco-friendly ideals. Get Closer to her style with an exquisite James Allen lookalike set with a certified conflict-free center diamond. High School Musical alumna Ashley Tisdale graduated with double honors; a cushion-cut center stone framed by a double halo of micropavé diamonds. This showstopper of a ring features smaller diamonds along the band, significantly upping the sparkle factor. Get twice the shine with the above James Allen lookalike. A truly versatile ring style, the double halo works with all manner of stone shapes, brilliantly accentuating their unique geometry. The double halo pear shaped engagement ring and double halo cushion cut engagement ring are just two examples of these mega sparklers. You can choose to surround your center stone with two diamond halos or opt for contrasting colored gemstones. 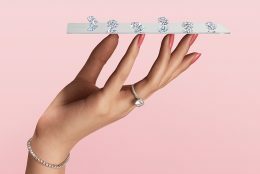 Finally, select a setting that matches the wearer’s personal style: solitaire bands offer a sleek, modern aesthetic, whereas decorated bands possess more of an old-world charm. If it’s maximum shimmer you’re after, you can’t go wrong with a pavé band. Delve into these heavenly halos. Go on, we double dare you! 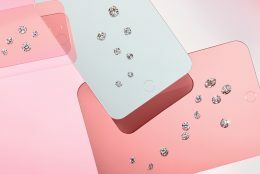 Remember – you can view all of the double halo engagement rings on JamesAllen.com in glorious 360° HD at up to 40x SuperZoom. Handpicked a handsome halo? Let us know in the comments below or over on Instagram, Facebook, Snapchat, or Twitter. 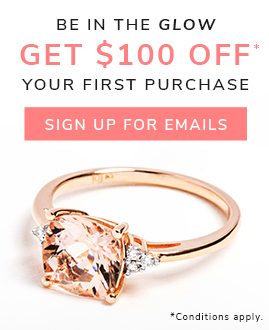 Learn more about halo engagement rings and discover additional ring types in our style series.